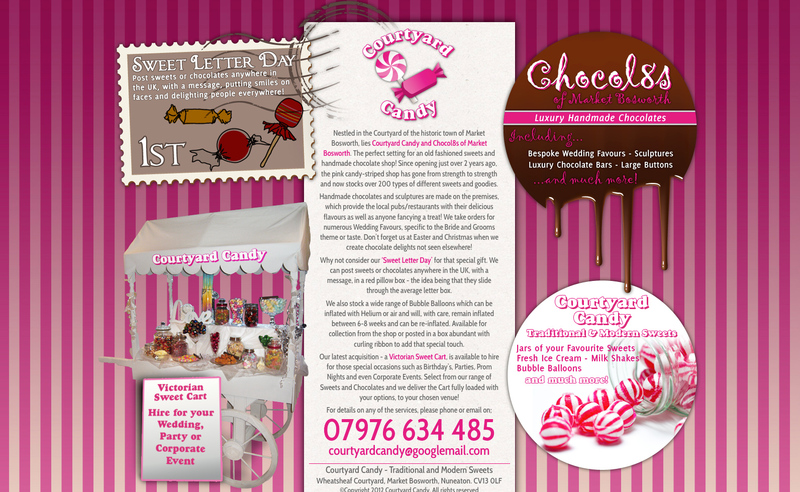 Courtyard Candy needed a holding/landing page to show their many different services (the sweet shop, luxury chocolates, sweet letter day and Victorian Sweet Cart). The page will eventually become a gateway into separate websites with each of the four areas having their own site, which can be visited by clicking the area. Nestled in the Courtyard of the historic town of Market Bosworth, lies Courtyard Candy and Chocol8s of Market Bosworth. The perfect setting for an old fashioned sweets and handmade chocolate shop! Since opening just over 2 years ago, the pink candy-striped shop has gone from strength to strength and now stocks over 200 types of different sweets and goodies. 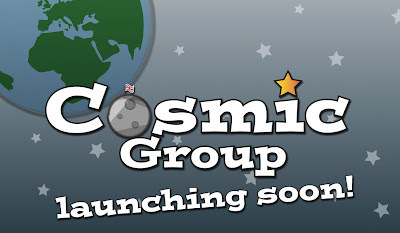 Cosmic Group came to Full Fat Designs needing a brand for their new venture. With a name of Cosmic Group and a brief of wanting something fun and quirky, we knew this project was going to be exciting. The logo and holding page are only the beginning, and while we can't say too much at the moment, you definitely want to get an eye on this company and what we 'beam up' next. 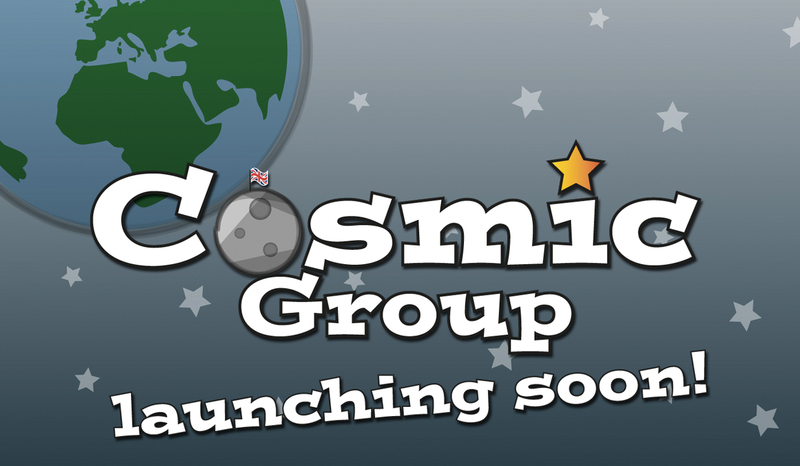 To check out the holding page, visit www.cosmic-group.co.uk.